If your Bay Area business has the land or space, the blueprints, and a firm timetable, you’re ready for a general contractor. We will manage your building project from groundbreaking to ribbon cutting. We know the city and county government requirements in San Francisco and the surrounding area, and we will get the required permits and line up the needed inspectors. We will also hire all subcontractors for you. As the Bay Area and Silicon Valley expand, 4JCON is partnering with building owners and tenants to provide office improvements and new construction services. We can help you create just the right space to facilitate the highest levels of productivity for your office. The restaurant industry has been one of the most exciting fields in the last two decades. We love the challenge of helping to create a unique atmosphere as much as we enjoy working within the exacting standards of a franchise. It is fast-paced and requires the highest levels of coordination and communication skills. Partnering with the right contractor makes a world of difference. 4JCON will help you make your restaurant the talk of the Bay Area. When you choose a retail or fuel station construction partner, you need one that understands high attention to detail and craftsmanship are required. Traffic flow is paramount, both inside and outside of the store. 4JCON will work with you to make sure that the plans you’ve made on paper will work in the real world. There is no type of building job that is too difficult for 4JCON to handle. 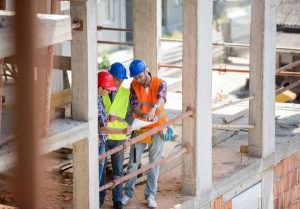 When you’ve been in the construction business as long as we have and faced construction’s increasingly rapid developments, you learn a few things. Or, in our case, more than a few. We not only have simple, ready-to-implement solutions for almost every problem, but we also have the solution for the difficult problems too. Call 4JCON at 530-588-9366 to get your project underway!